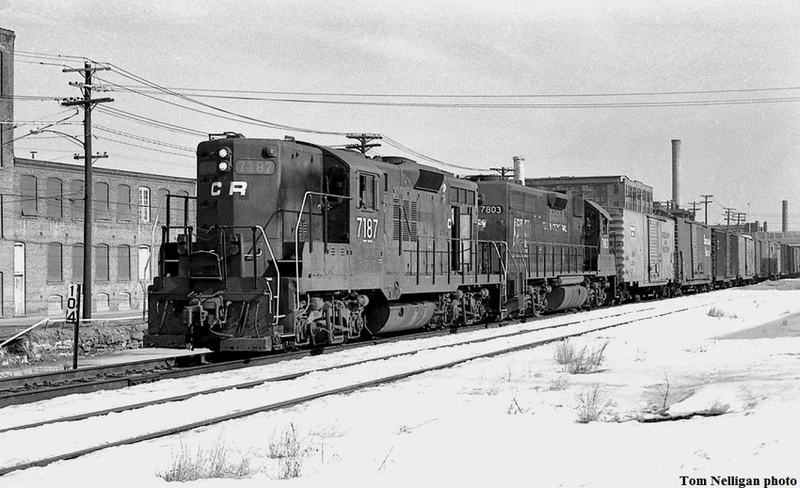 For a time in the late 1970s, Conrail ran a regular turnaround job between Cedar Hill Yard in New Haven and Danbury, seen here passing an old factory in Shelton, CT, with a GP9 and a GP38 up front. I believe the symbol was NHDA. Milepost 104 gives the distance to the onetime gateway yard at Mayboook, NY, but the line was already abandoned west of Hopewell Junction.